As the Ethiopian airline touched down at Chileka Airport last Thursday at exactly 14:34, there was one passenger who was more than eager to get home. This was a homecoming for seasoned actor Eric Mabedi after successfully undergoing a kidney transplant surgery at BLK Hospital in India. He alighted from the plane sporting a navy blue suit matched with a sky-blue shirt and a stripped black and white necktie. Beside him was his wife Fannie, whose look reflected nothing but joy to return home. Just as he finished walking the concrete on the runway, Mabedi was met by a group of journalists who took turns in welcoming him back with handshakes and warm hugs. That spoke volumes of the apprehension that he had about the danger his life was in as a result of his long-term diabetic problem on his life. Indeed, this return signalled the start of the second chapter of his life. Upon undergoing initial tests in India, it was discovered that apart from his diabetic condition, he also had stones in the gallbladder which needed surgery. This compounded his situation. “They asked me if they could do the surgeries separately or not. But looking at the time I opted to have them done simultaneously. It was a long process. I went into theatre on December 8 but I only regained full conscious on December 11,” he said. After the media interaction and check in formalities, the Kwathu Drama Group director, had no idea of a much warmer receptionthat awaited him just outside the waiting bay. Here, members of the National Theatre Association of Malawi (Ntam) where he is serving as president, Kwathu Drama Group, his children, his nephew Chimango Severe, who donated the kidney and others converged as women vigorously danced to traditional beats. They hoisted placards with read messages such as: ‘Ntam Loves Mabedi’, ‘Welcome Home Eric’, ‘Doctors Care, Jesus Heals’, ‘Zikomo Malawi’ and ‘We Love You Eric’…. As he approached the group lost in songs and dancing, Mabedi was betrayed by his emotions. He literally covered his eyes with his hands as he could not hold back the tears. Actor Max DC Chiphinga, a member of Ntam, could not hide his excitement. “This recognition has made us very happy. It has showed the government places a certain amount of value in us. Further to that, it has brought us hope that if and when something can befall one of us, government can come in for assistance,” he said. 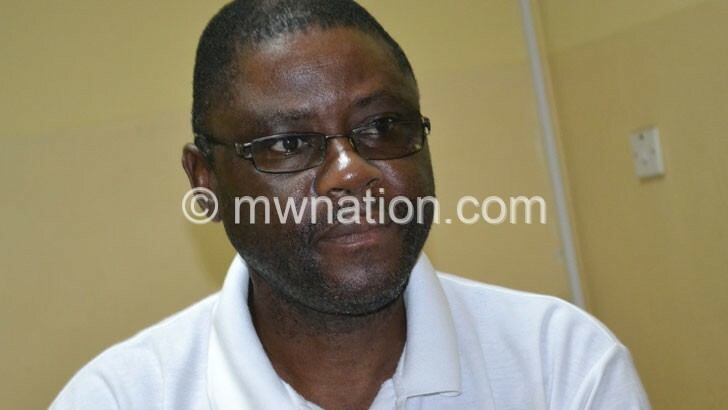 Mabedi, who is also Copyright Society of Malawi (Cosoma) board chairperson, was sent to India by the government of Malawi through the Ministry of Health after sounding an SOS as he sought to raise over K20 million to travel for his treatment. Mabedi has wowed audiences since he made his theatre breakthrough in 1984 when, alongside the late John Nyanga, he starred in Kwathu Drama Group’s adaption of Willie Zingani’s novel Madzi Akatayika. He went on to form a formidable partnership with Nyanga through the years which saw the pair form the popular comic duo of Izeki ndi Jacob till the death of Nyanga in 2015. Mabedi has indicated that he would be back on stage after three months.